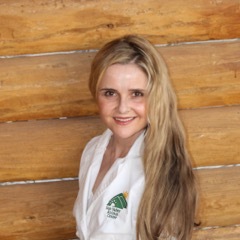 Our veterinarian, Dr. Amber Acker-Sanborn, attended the University of Colorado at Boulder, where she received a Bachelor of Arts degree in Kinesiology. Graduating with honors, Amber was also a member of the CU Alpine Ski Team, the CU Triathlon Team, and Alpha Epsilon Delta Pre-Medical Honor Society. Amber went to Veterinary School at St. George’s University and received her Doctorate in Veterinary Medicine in 2009. Dr. Amber Acker-Sanborn is a member of the American Veterinary Medical Association, the Veterinary Orthopedic Society, and the Idaho Veterinary Medical Association. Amber has attended several surgery courses with her father and animal surgeon, Dr. Randy Acker, including Synthes Tibial Plateau Leveling Osteotomy (TPLO), KYON Tibial Tuberosity Advancement (TTA), and the KYON Total Hip Course. Dr. Amber Acker-Sanborn worked with military working dogs and civilian owned pets while her husband, Reid Sanborn, served as an F-15 Pilot in the United States Air Force. Dr. Amber Acker-Sanborn now lives in Sun Valley with her husband, Reid, their son, Ryder, and their dog, India.